Miguel A. Vargas is a force to be wrecking with when it comes to his piano playing with, bringing with him a unique experiences to the scene with his own intuition to what is going to be a colossus rhythmic exposures. Miguel A. Vargas living and growing up in the City of New York all his life. 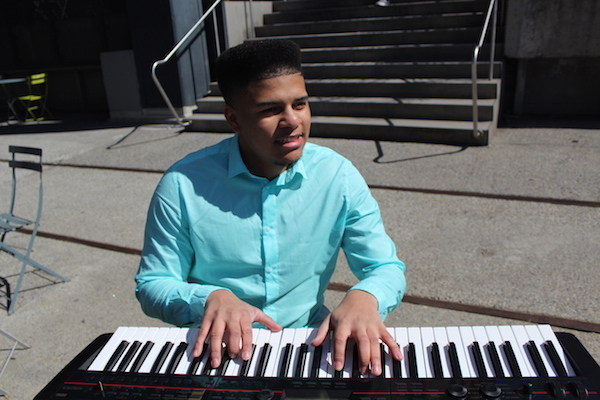 He has been working professionally since he was 12; going in to night clubs performing with local salsa bands, in concerts alongside with Latin Jazz greats and legends such as Eddie Palmieri and Mario Rivera. He has also performed alongside salsa greats such as Cheo Feliciano, Luigi Texidor. Playing in bands of Luisito Ayala, and playing for The Luis Bauso Big Band. Later on through-out his life he then played in Concerts at the Apollo, accompanied by the New York philharmonic. Since then He has been active playing with legendary percussionist such as Candido Camero and Giovanny Hidalgo. He once accompany a Venezuelan actress by the name of Lupita Ferrer that is very popular and her name is very common on Spanish household TV shows/soap poppers. He also has performed with people like Notch, La Bruja who were active recording Artist. We could go on and, on with people he has performed and worked with. But most importantly is how talented and how out spoken with his piano performance he has become over the years. MAV group at Terraza 7 on Friday May 15th, 2015 at 10:00pm. No Replies to "MAV GROUP"